Fallen Angel is a hybrid with strong genes. This is one of the newest cannabis strains from The Devil’s Harvest Seeds. They have taken an old clone of the Shoreline and revived it with modern genetics. The result is a strain more vigour; making their Fallen Angel particularly strong with the ability to grow outdoors even in colder climates. 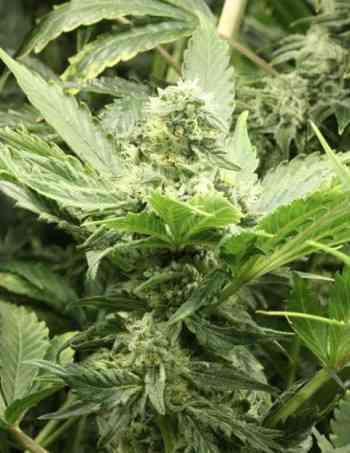 Typically finishing in mid-September, Fallen Angel Feminized has proved very popular in mainland and northern Europe. Guerrilla growers have taken a particular shine to this hardy cannabis plant. Fallen Angel is a cross between their Khufu male and their original Shoreline female. To achieve the vigour, they took a female of one of their most popular and well-known strains; their original Shoreline. They then blended it with a Kuchi male – an incredibly strong Kush. The result is a hybrid containing an unbelievable mix of pungent old-school skunk taste which is complimented with lemon and an almost diesel-like aroma from the Kush. The two very distinctive flavours of the Shoreline and the classic Kush really work well together and can both be tasted at the same time – a lovely bouquet. A difficult plant to master, this hybrid might not be for the novice gardener. Those willing to take the plunge and grow their Fallen Angel Feminized will be rewarded with some of the finest smoke that Amsterdam has to offer. This strain is currently enjoying huge popularity in some of Amsterdam’s best Coffeeshops. 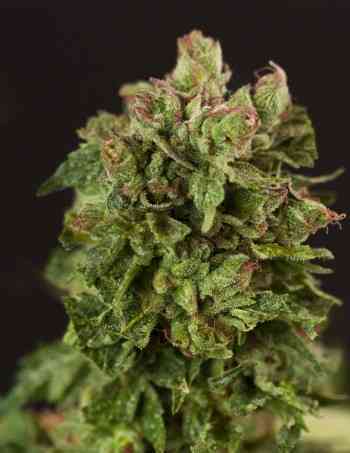 It has a wonderful sweet skunky taste with a distinct perfume aroma. Indoors, it is best suited to a Sea of Green grow method due the density and compactness of the plant. The most vibrant colours come out the later you leave it. Fallen Angel turns really purple towards the end of the grow. The buds firm right up in the final 2 weeks with huge, dense top colas developing for those brave enough to hold on. Hold your nerve people – it’s definitely worth it!